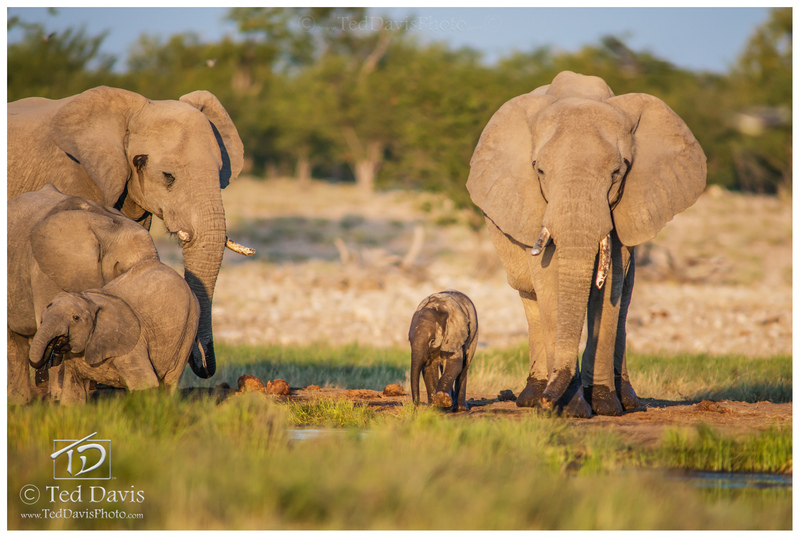 The midday heat of the Etosha salt pan is unforgiving. Each day parades of elephants descend on the watering holes for much needed water and sun protection – covering their large bodies with mud and dirt to help protect against the searing rays of the sun. On this day, I was delighted to see a mother and her calf splashing and playing as the parade drank their full. Splashing mud over her calf, the mother began to make her way to sate her thirst as the baby elephant hopped along to catch up and stay close to her mother. It was a beautiful day, a beautiful scene. Photo © copyright by Ted Davis.